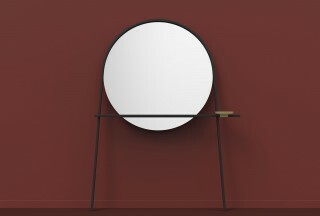 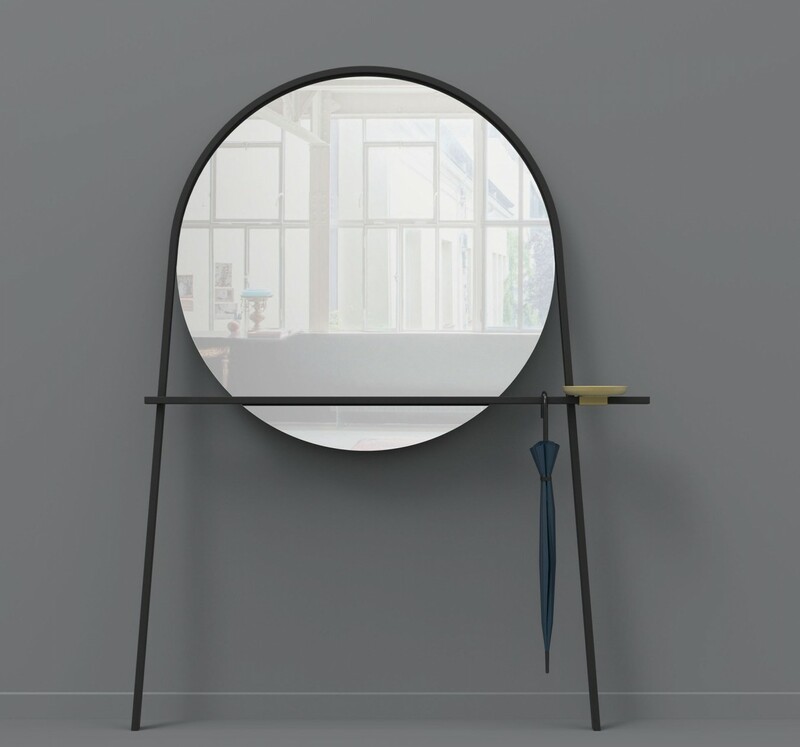 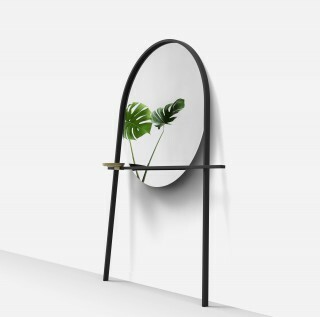 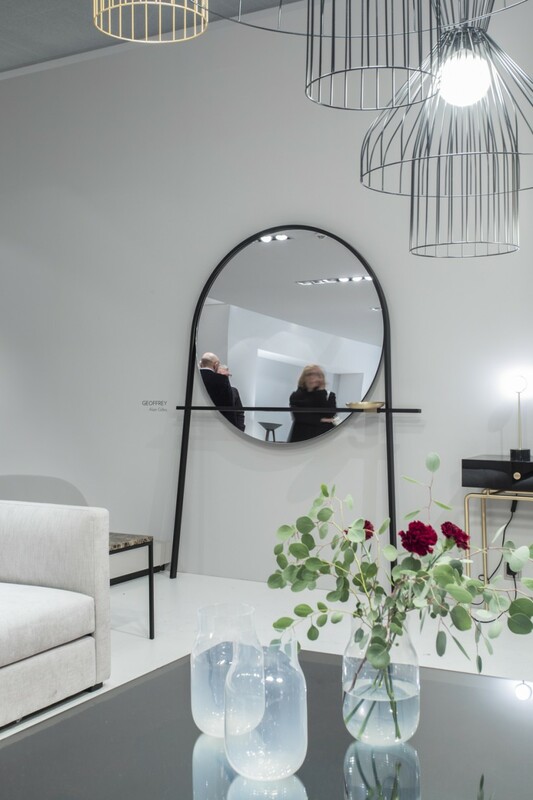 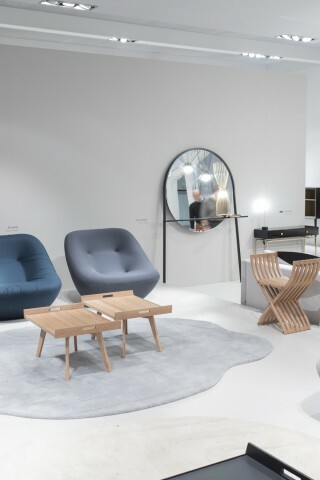 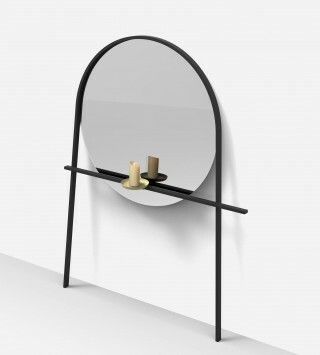 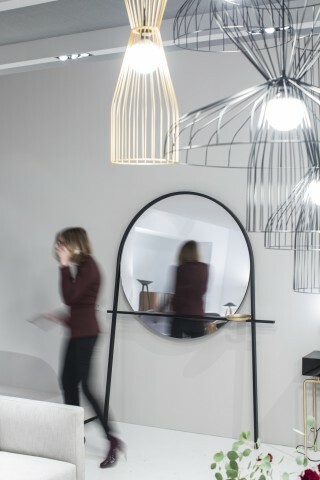 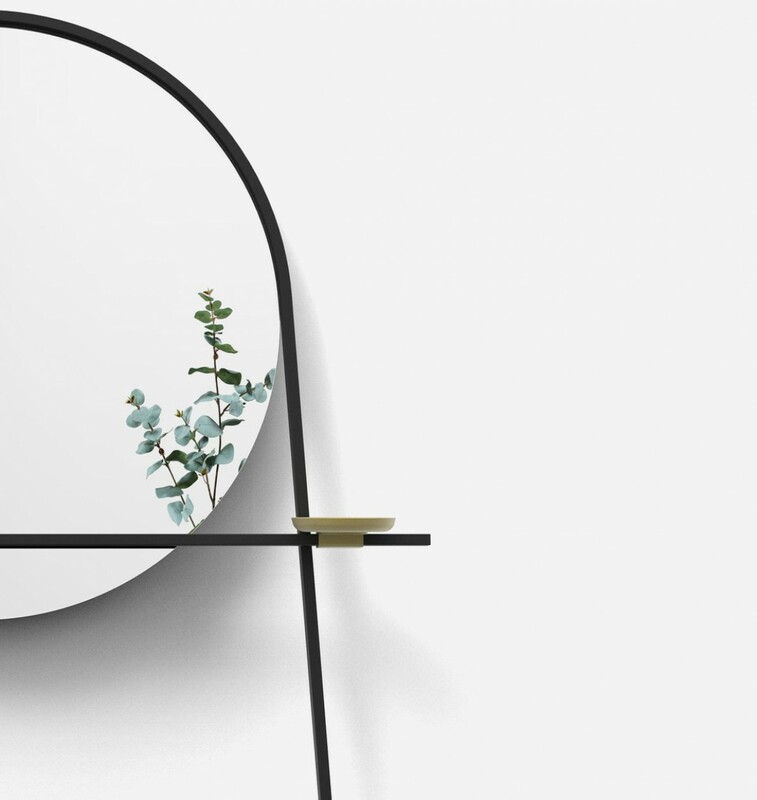 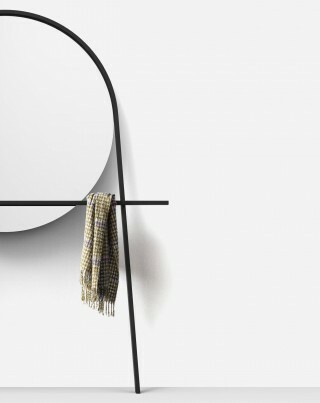 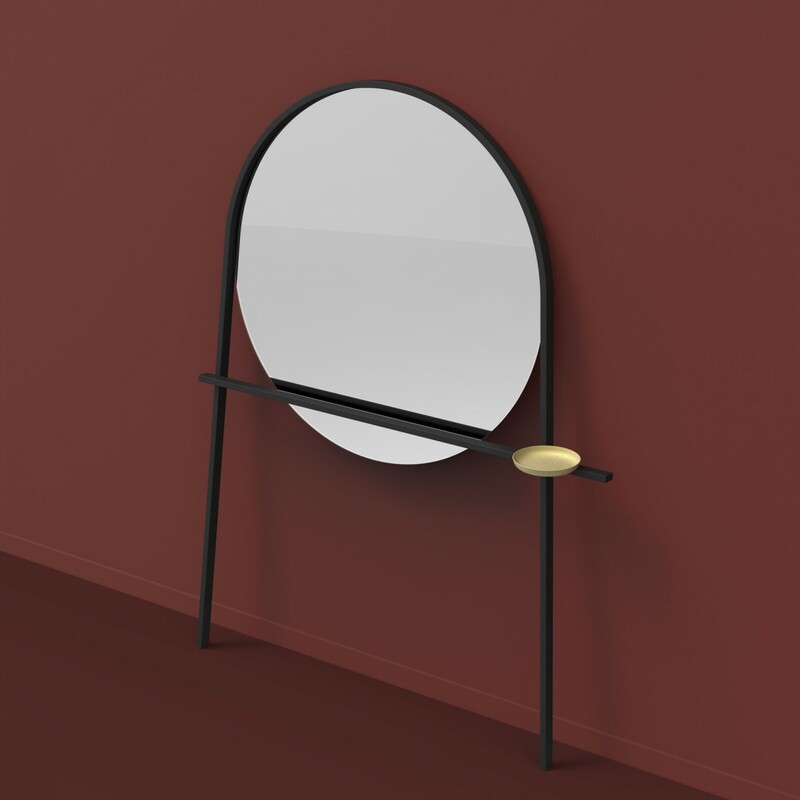 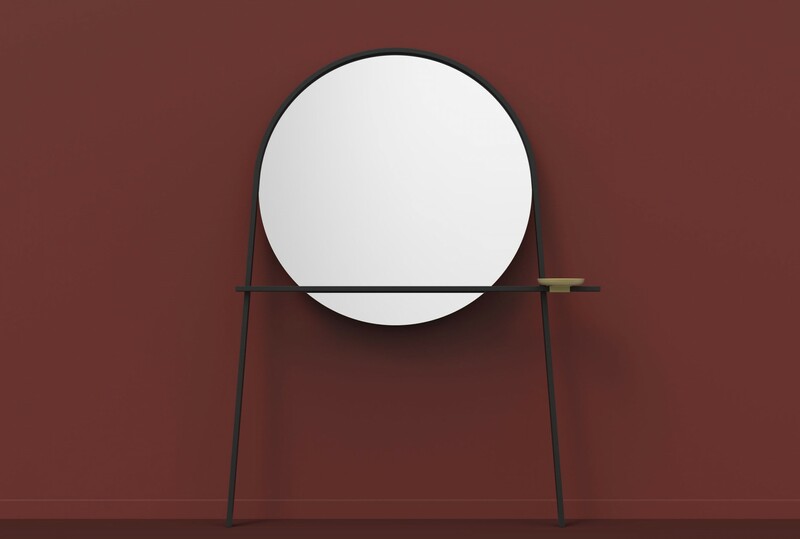 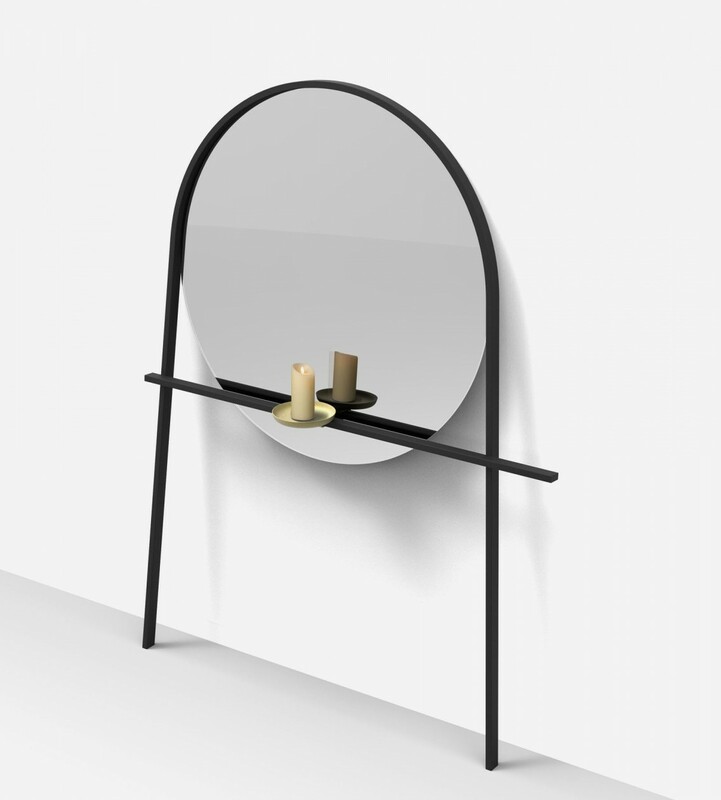 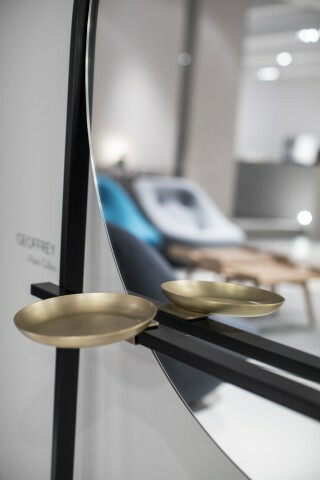 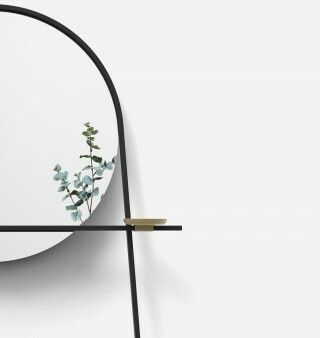 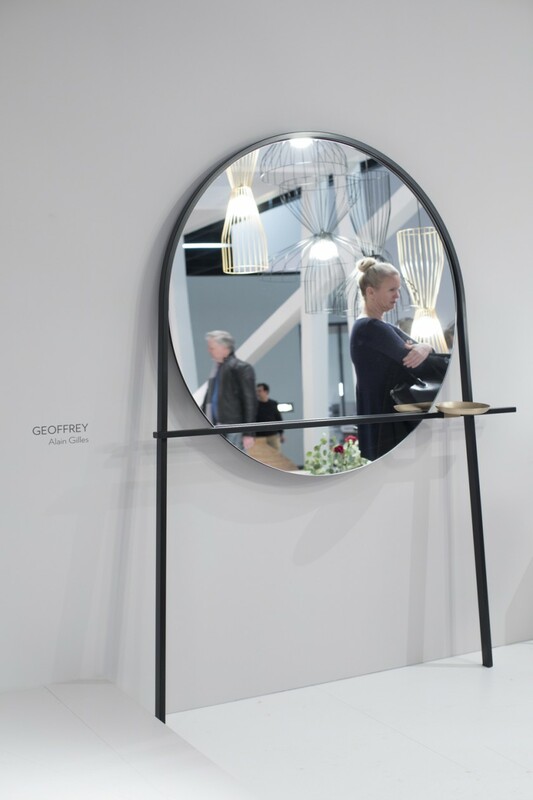 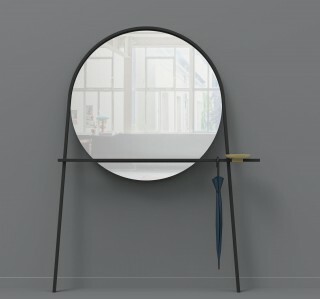 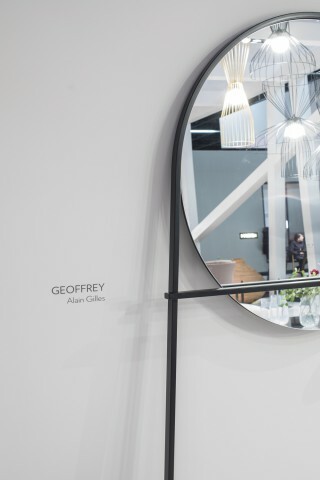 The Geoffrey mirror is a large, decorative and multi-functional piece. 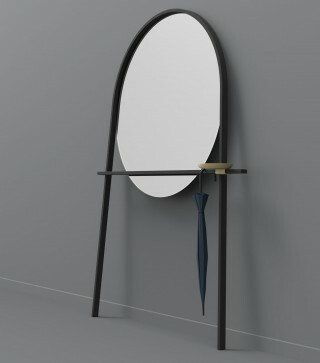 The mirror is connected to the metal structure in a way that it appears to be floating since the frame doesn’t extend fully around the mirror. 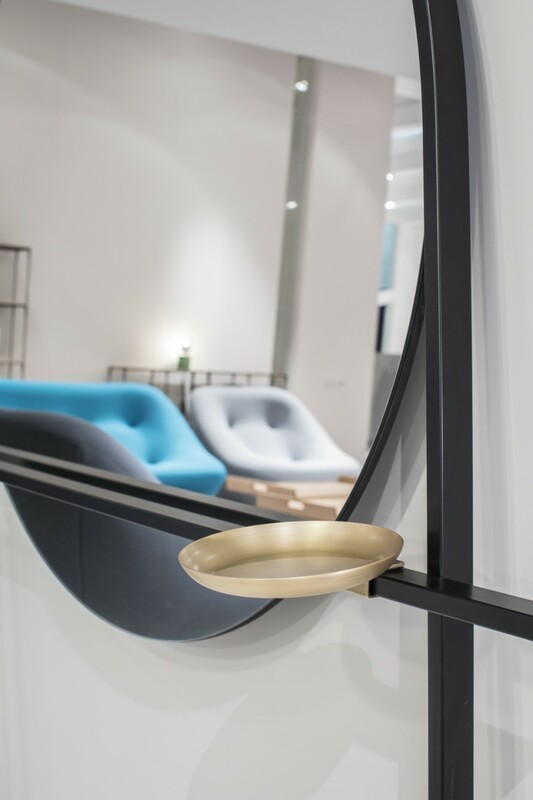 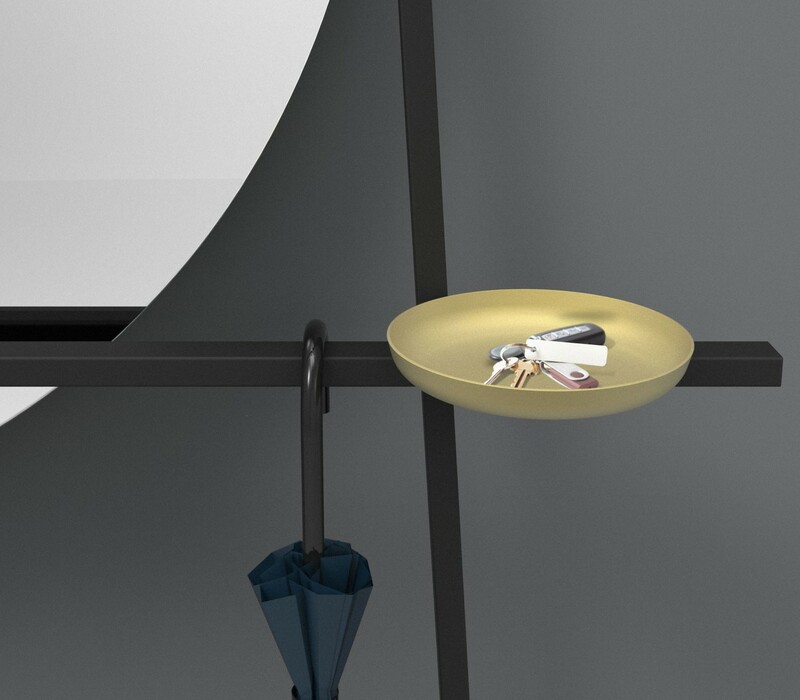 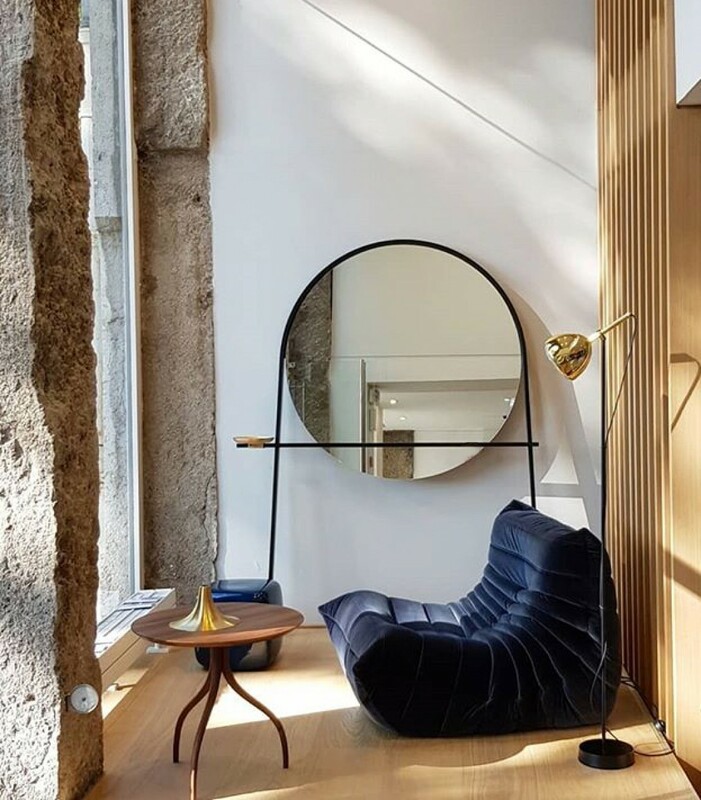 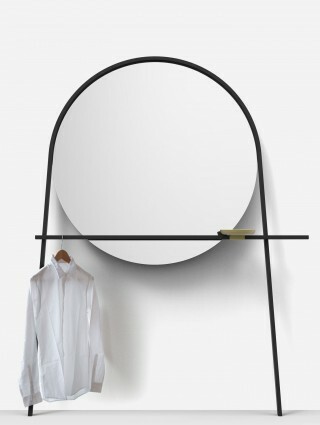 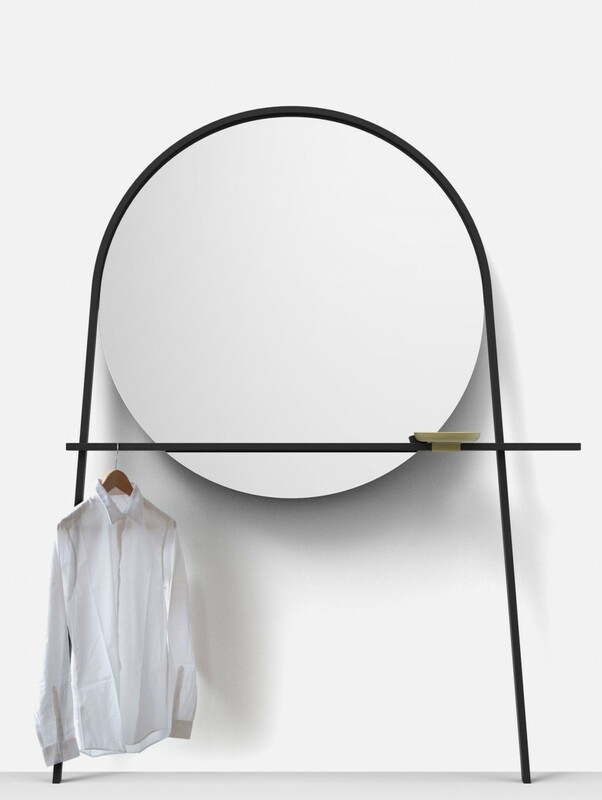 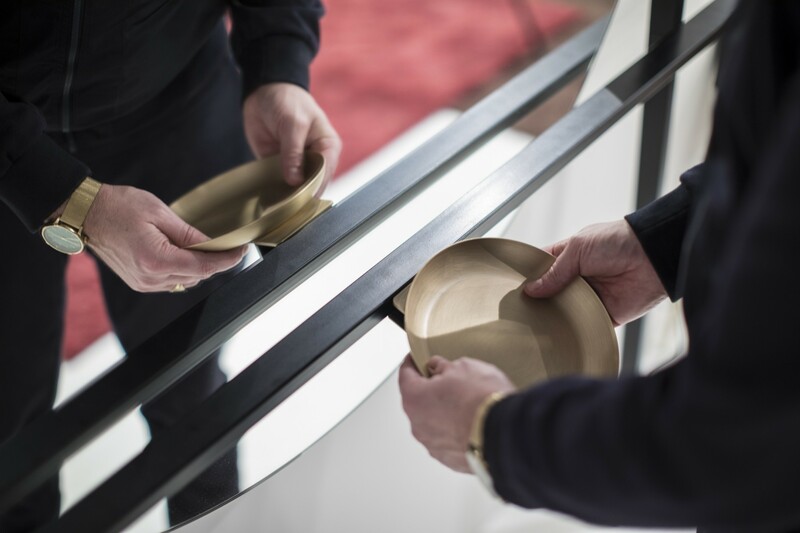 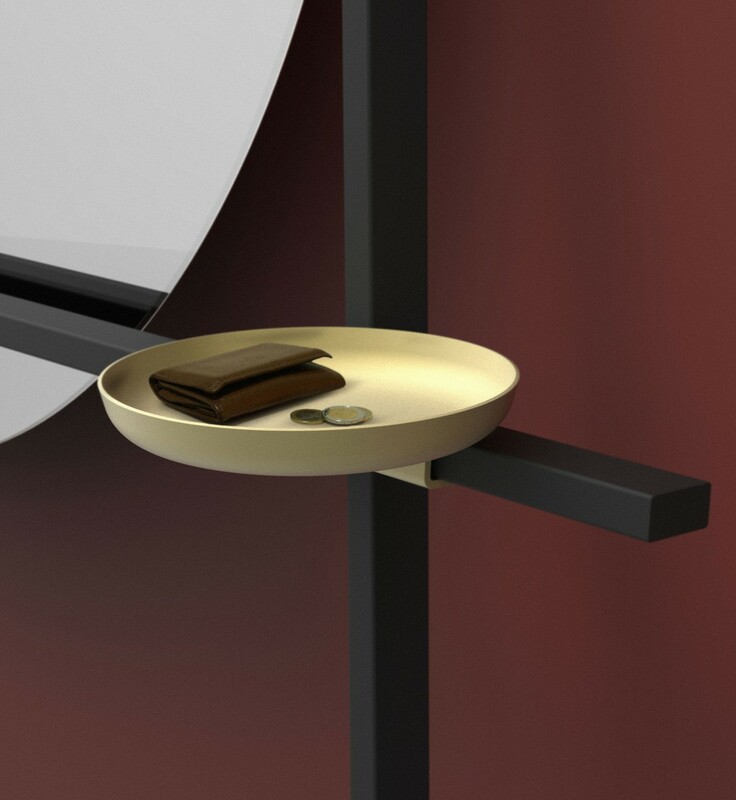 The straight bar serves as a rail to the movable brass dish, giving the impression of a horizon and further reinforcing the impression that the mirror is floating since the bar is reflected in the gap. 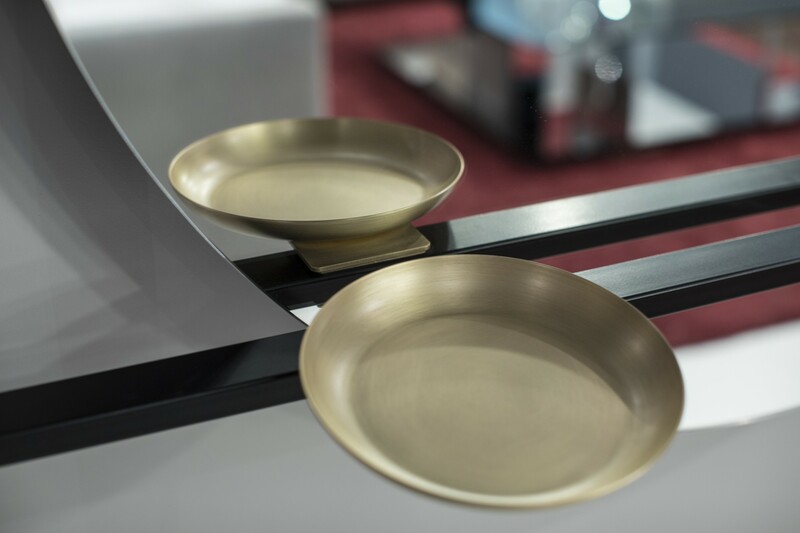 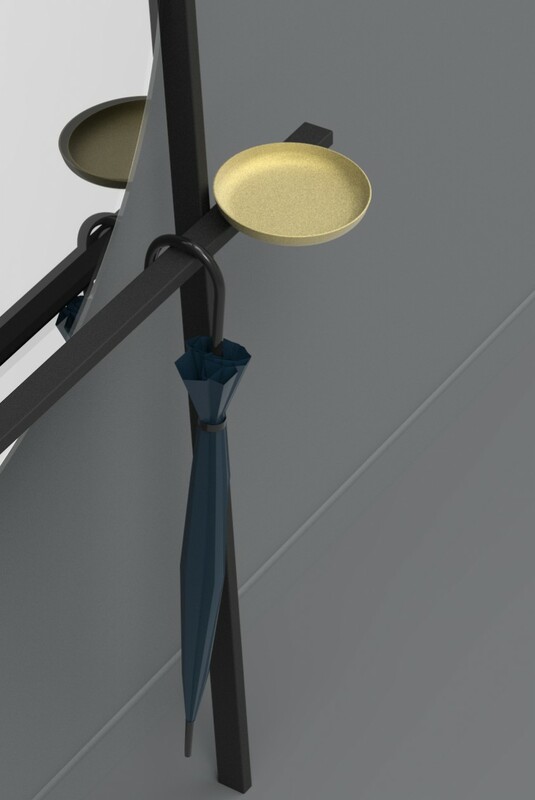 The little dish can be moved anywhere along the “rail” in order to define the use and personality of the product. 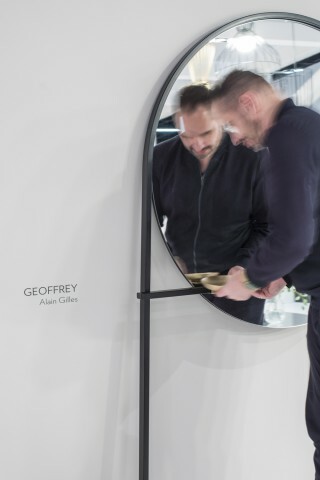 As for the name of the mirror, it is, of course, a nod to Geoffrey, the butler of the American series "The Fresh Prince of Bel-Air", and the valet and multifunctional side of the mirror! 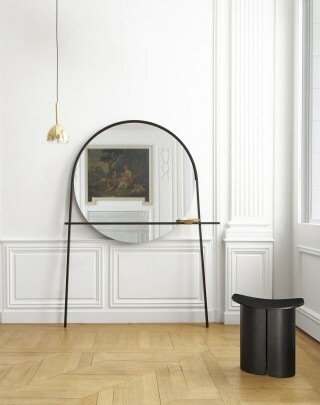 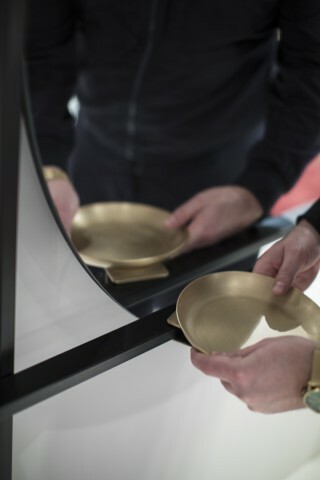 Materials Mirror, metal tubes, brass dish.